Reaching Brunelleschi Luxury Holidays is very convenient and easy either if you come to Rome with the means Public or using a own medium . From the Leonardo Da Vinci Airport take the train (direct line) Fiumicino Airport – Termini and then the subway (line A) towards Battistini. Get off at Ottaviano – S.Pietro stop. Continue on foot in the direction of S.Pietro to reach Brunelleschi Luxury Holidays in a few steps. It is possible to take the taxi in the designated areas at the terminal A, B and C exit. From Ciampino Airport take the bus (Cotral service) to Anagnina stop and then take the underground (line A) towards Battistini. Get off at Ottaviano – S.Pietro stop. Continue on foot in the direction of S.Pietro to reach Brunelleschi Luxury Holidays in a few steps. Get to Termini Station take underground line A towards Battistini and get off at Ottaviano – S.Pietro station. Continue on foot in the direction of S.Pietro to reach Brunelleschi Luxury Holidays in a few steps. If you wish to reach us by taxi, the taxi station is located on the square in front of the exit of the Rome Termini ticket office. A1 from the north (Florence, Bologna) take the Grande Raccordo Anulare towards Flaminia-Cassia and take the road no. 1 Aurelia (direction center) Directions to S.Pietro – Vatican City. 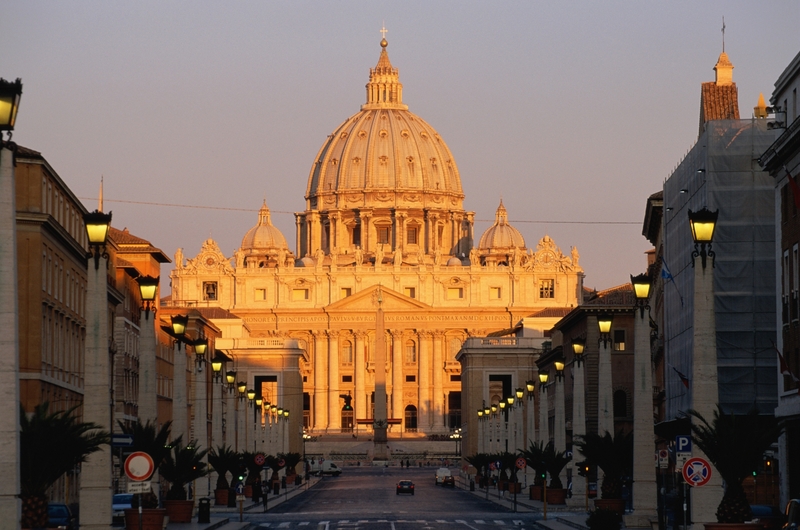 A1 coming from the south (Naples), take the Grande Raccordo Anulare towards Aurelia, following the signs for S.Pietro – Vatican City. A12 coming from the west (Civitavecchia, Fiumicino ), take the Grande Raccordo Anulare towards Aurelia, following the signs for S.Pietro – Vatican City.